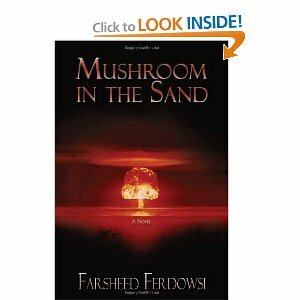 I just discovered a new author Farsheed Ferdowsi. Again in the Spy Thriller genre. The book is well written and a very fun entertaining read. An Iranian-born physicist living the American dream, Dr. Ross Shaheen is at the top of his game. Between his internationally-recognized nuclear weapons research career at the prestigious Berkeley Lab and his picture-perfect family in the San Francisco suburbs, it’s a good life that can only get better – until he is lured into lecturing before an elite group of scientists in his home country. The 7000-mile trip takes Shaheen back to the land of the lion and the sun, yet it also delivers to Iran’s very doorstep an important American citizen with Top Secret security clearance. Taken captive in a subterranean plant by Amir Meshkin, head of Iran’s secret nuclear weapons program, will Shaheen be forced to provide him with the access needed to successfully advance the Iranian nuclear agenda? The answer lies in the twisting plot of espionage and survival, putting to the test not only Shaheen’s secret knowledge but also the very core of his allegiance. If he lives, he could walk away a hero for his country. The question is – which one?